It was a brilliant sunny day. The sky was electric Moonstone blue. The trail had just the right amount of moisture so I could smell the pungency of earth. Shadow and light played hide-and-seek through the woods. 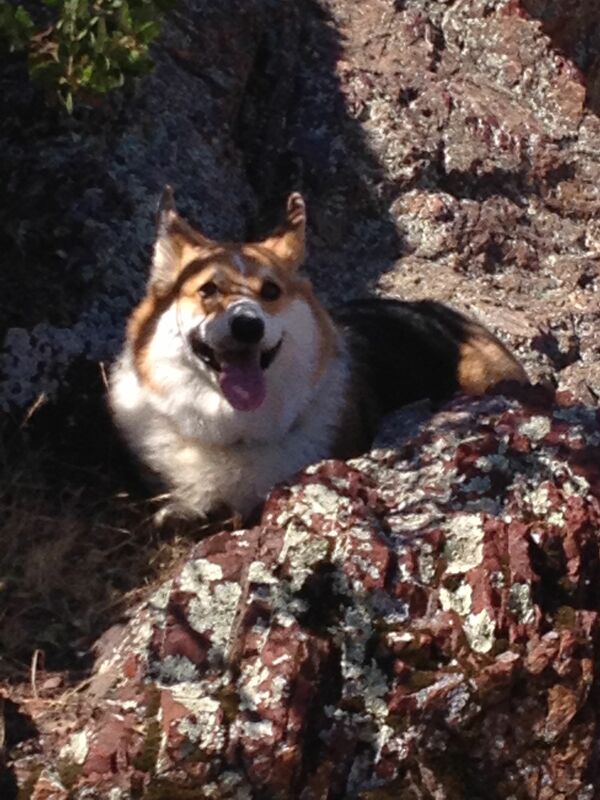 Magik the Corgi had a perma-grin on, finding extra smelly things to roll into. We took the long way around to the Red Rock. When we finally arrived someone was already there. It was a woman and four year-old-boy. I was going to just walk by, but Magik did one of his stubborn Corgi antics and wouldn’t budge. Instead he looked at me with that big, silly grin that said “We’re going to the Red Rock, huh? How ’bout it?” So of course he won. 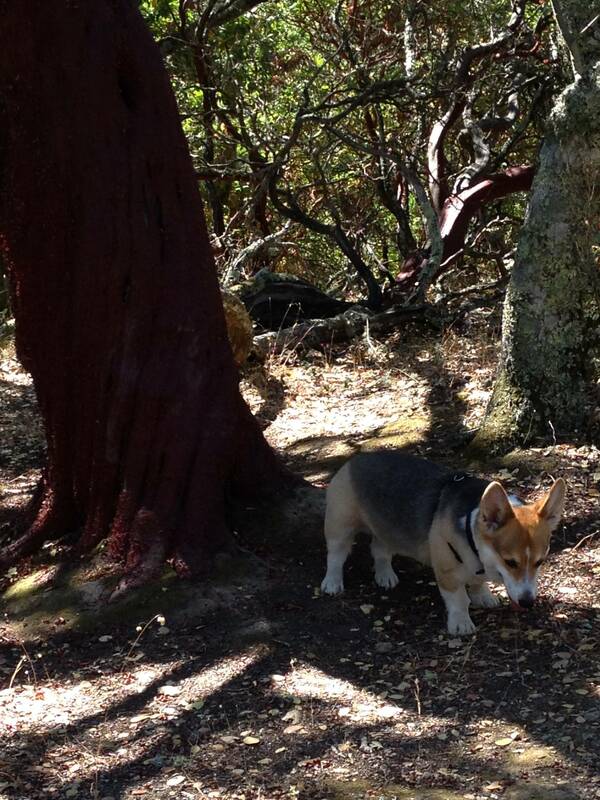 I trudged up the trail behind the happy Corgi, and asked the woman if she wouldn’t mind if we sat at the Red Rock. She said, “Sorry, no English.” We managed to communicate well enough for us to agree to share the space. 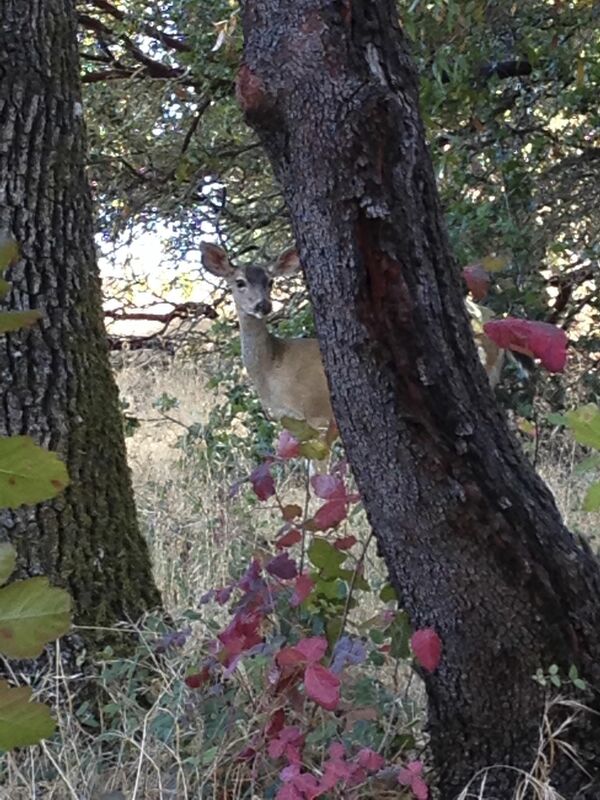 She offered us some food. I declined, although I’m sure the Corgi would have loved to chow down on granola bars. I looked at various red jasper rocks as I listened to the Aunt and her nephew talk in Italian. There is something lyrical and mysterious listening to the rhythm of a language without knowing its meaning. If you listen intently you start to intuit some of the meaning. It was beautiful to watch Aunt and nephew picnicking on the ground, enjoying nature, each other, and the drooling Corgi. I really wanted to sing and wondered if I should just go ahead or wait. Well as though they read my thoughts they said their good-byes to me and Magik and left. I took a twin crystal out of my pocket and began to sing into. There are days when I sing when it feels like I’m stumbling, eventually finding my way. Sometimes the song seems like the same one I have been singing for a while, and then other times magic happens, and I’m in the zone. Today, magic happened, and I felt this utter oneness with the Red Rock, the wind, the sun, and the water. I felt connected to all things and in that oneness I could touch people in the Ukraine, or Afghanistan with my song. I could touch polluted waters, and people I love and care about in different places in the world. I felt not only moved by the Divine, I was singing the Divine, and the Divine was singing me. The song finished sweetly and completely. I opened my eyes and noticed that there was a group of vultures circling and cresting the air in the forest across from me, and then in an instant they swooped over me, so low I could hear them.They pulled my attention to the electric Moonstone blue sky. 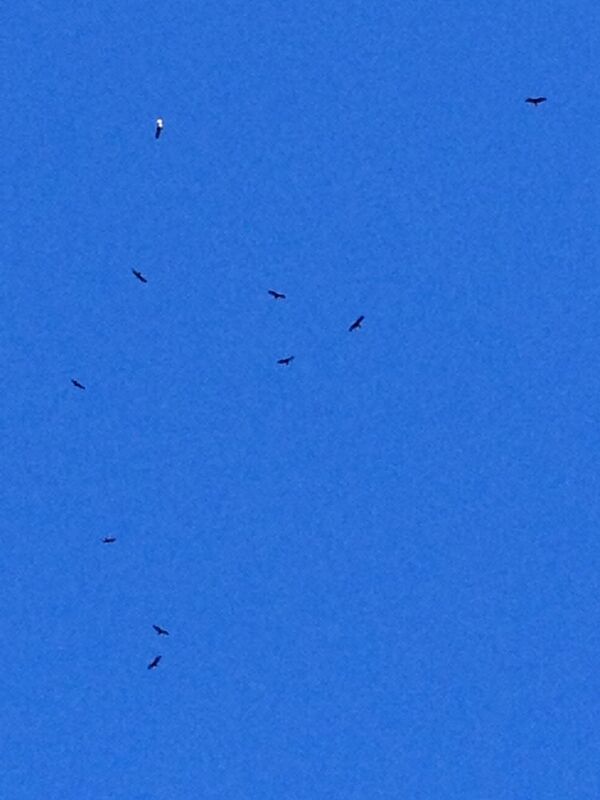 I gazed in awe and wonder as 30, 40, maybe 50 vultures danced swirling, and swooping patterns in the sky. There wasn’t a kill! They were flying merely for the joy of it! That was so clear! It was utterly amazing! I felt such wonder. 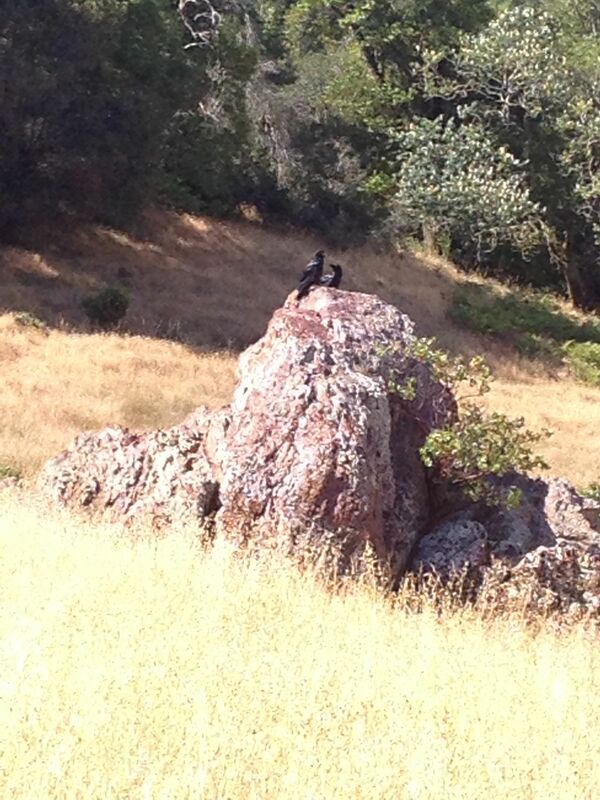 I watched until the patterns of vultures undulated over the hill and back into the Unknown. I was in awe. What an enchanting moment! A long time ago a shaman told me not to listen to the books or even videos about what certain animal characteristics (totem meanings) were about. He instead suggested to observe animals in nature. 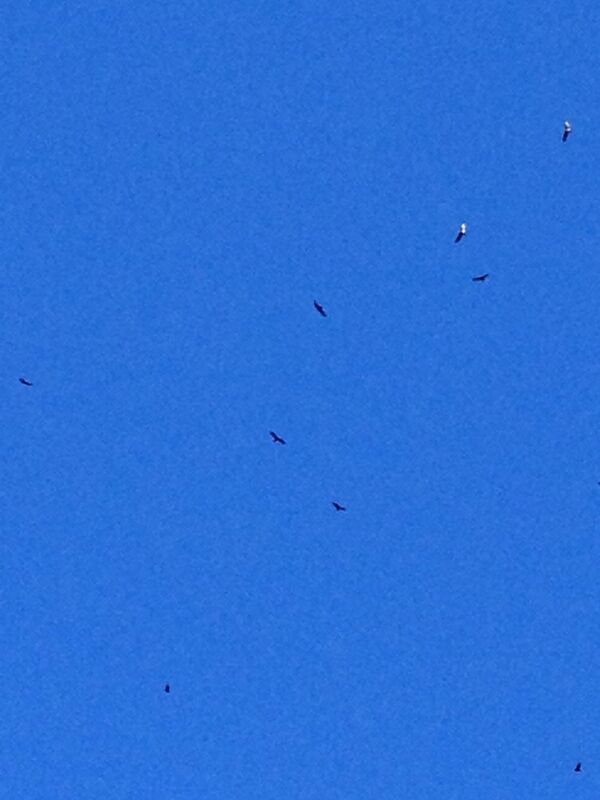 I have noticed that often when I sing, actually almost every time, vultures circle above me when there is no kill. I have written stories about vultures twice. 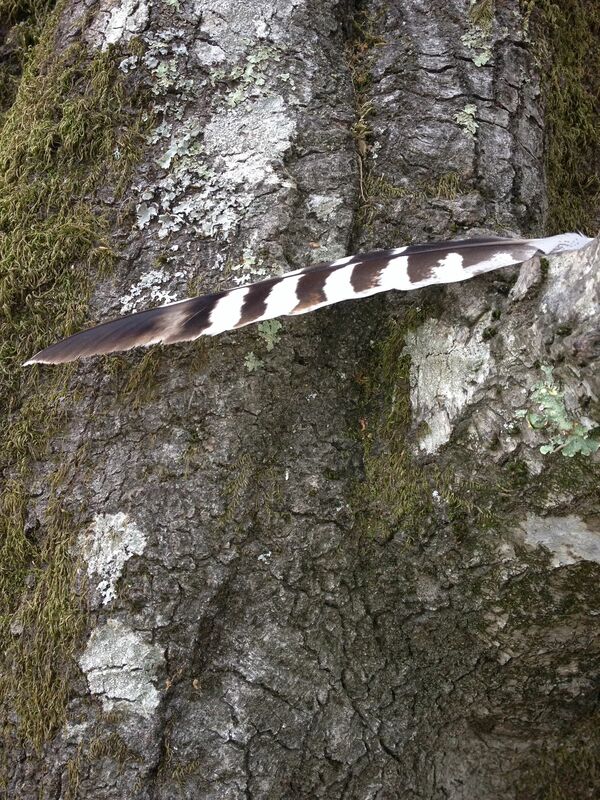 They have always felt like boundary dwellers, the guardians between worlds, gatekeepers to the natural world. A sound healer and musician from Peru suggested that vultures are the American version of the condor and therefore can symbolize protection, and transformation and transmutation of energy. To me, vultures are more than scavengers. Today, I experienced the sacred in them, and am grateful!